The 15.6" IdeaPad 330 Multi-Touch Notebook from Lenovo is a well-rounded system capable of handling everyday tasks such as browsing the internet, streaming TV shows and movies, and video chatting with friends and family. Powered by a 1.8 GHz Intel Core i7-8550U quad-core processor and 16GB of DDR4 RAM, it can efficiently multitask and quickly access frequently used files and programs. For storing your documents, movies, and data, it has a 1TB 5400 rpm hard drive. Should you need more space, you can connect external storage solutions using its multiple USB ports, as well as its 4-in-1 media card reader, which can also be used to quickly transfer files from mobile devices. Its 15.6" display, driven by an NVIDIA GeForce MX150 graphics card, has a 1366 x 768 display capable of delivering crisp, clear HD content. With touch capabilities, you can utilize touch gestures and commands within Windows 10 to enhance its accessibility and efficiency. An HDMI port lets you connect an additional monitor for better multitasking or larger viewing. Connect to the internet via 802.11ac Wi-Fi or the Gigabit Ethernet jack. Pair compatible wireless peripherals using Bluetooth 4.1 technology to free up its USB ports for more important devices. Other integrated features include a webcam, speakers, a microphone, a DVD-RW drive for reading and writing optical media, and a 3.5 mm mic and headphone combo jack. The operating system installed is Windows 10 Home. 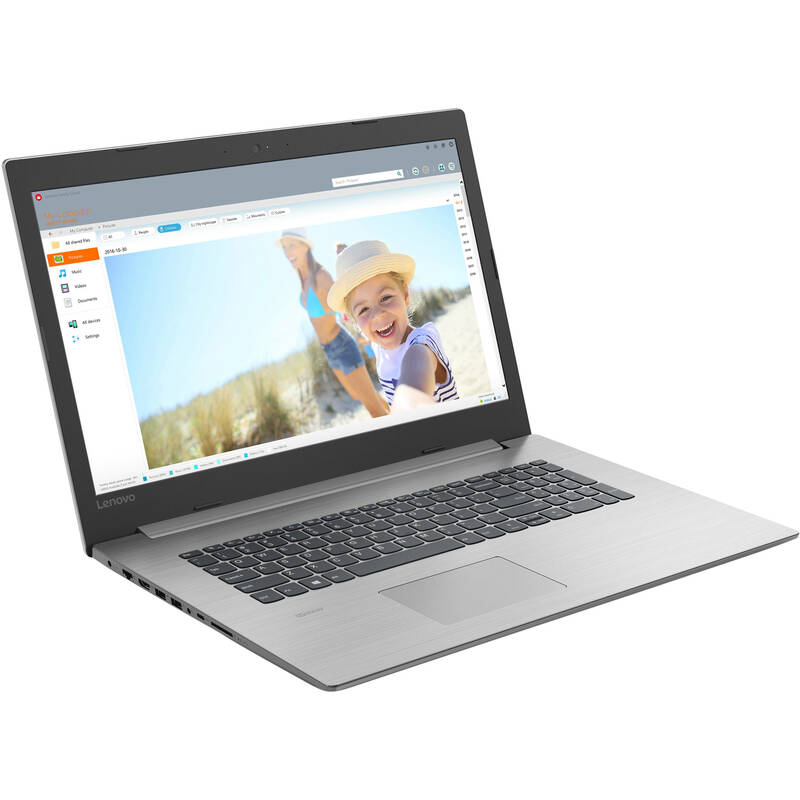 Box Dimensions (LxWxH) 20.9 x 12.9 x 3.1"
Does this laptop &quot;really&quot; have 4GB of video ram? I've read numerous times that the GEForce MX 150 only has 2 GB. I also checked the same laptop on Amazon and it says only 2 GB. COuld anyone who has bought this laptop confirm that it is only 2 gb? There is a TYPO on the web page for this product. Model number 81DJ0000US ships with the Nvidia GeForce MX150 discrete graphics card, which has 2GB of GDDR5 RAM on board.